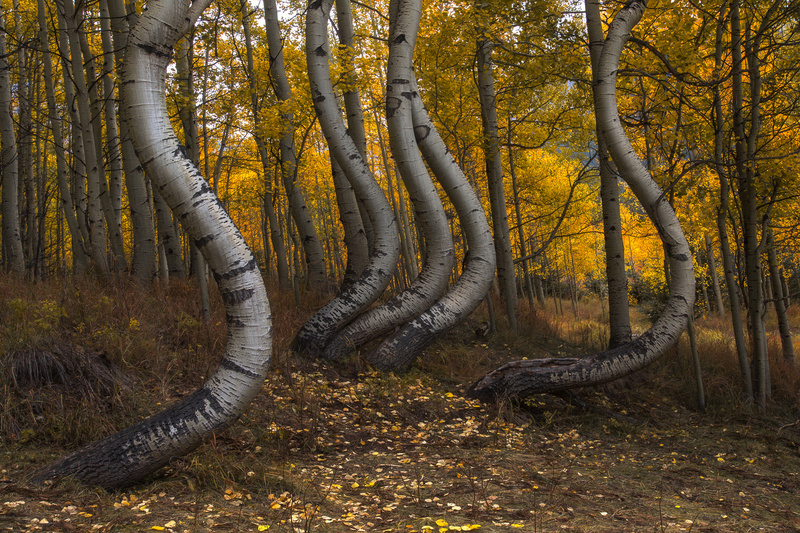 A photo I took this past fall of a beautiful grove of unique curved aspens. These trees have become popular among local photographers but were still difficult to find. Maybe they were difficult to find because they were sneaking away! They have kind of a moving serpent look to them. Great photo.